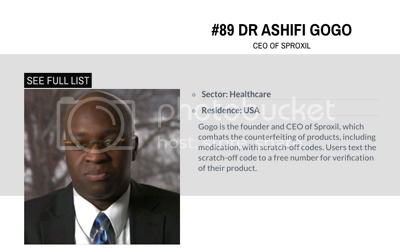 Congratulations to Ashifi for being honored by Salt Magazine for making the top 100 Most Compassionate Business Leaders. We join Salt in celebrating a movement towards corporates using their considerable power for good. SUSTAINABILITY Leadership in terms of: renewable energy; resource conservation; agriculture; social and economic sustainability. INNOVATION Have they pioneered ideas within their industry? COMPASSION Have they created a company that transcends the standard business paradigm? IMPACT How many lives have they changed?